Japan has released Tokyo Core CPI and the US will publish GDP Growth Rate QoQ Adv. The support rests at 111.660 with resistance at 112.630 which the weekly pivot point at 112.290 is located in between the lines. The EMA of 10 is moving with bearish bias in the descendant channel and it is below the EMA of 100 and the EMA of 200. The RSI is falling below the 50 level, the Stochastic is showing downward momentum and the MACD line is below the signal line in the negative territory. The ADX is showing sell signal. 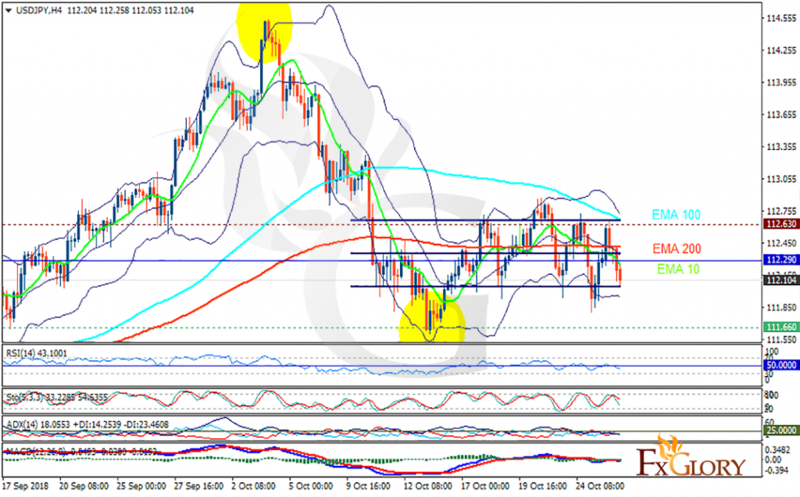 USDJPY may decline towards the support zone but buyers can return to the market soon.